RHYTHM - RICARDO FERNANDEZ BALADRON S.A. RHYTHM was established in 1950. 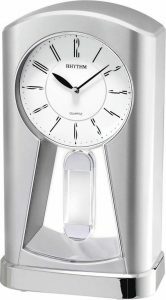 Over the years, we have developed into a world leader in the manufacturing of time keeping products with the production of over 600,000,000 clocks and movements sold throughout the world. What sets RHYTHM apart from the rest of the industry is it’s investment in the development of state-of-the-art features and designs. Rhythm’s approach is “Don’t follow, be a leader.” And that is what RHYTHM has done by developing features and designs that meet the needs of today’s lifestyle of consumers. Rhywaco (H.K.) Co., Ltd. is RHYTHM global timepieces headquarter established in 1990. Gifted with the location advantage of Hong Kong as the world trade centre, RHYWACO has over 80 agents around the world supporting with 100% confidence. Together with subsidiaries of RHYTHM WATCH CO., LTD. in U.S.A. and Korea, RHYWACO exports to over 80 countries and its markets spread over Asia, Europe, Middle East,and North & South America. 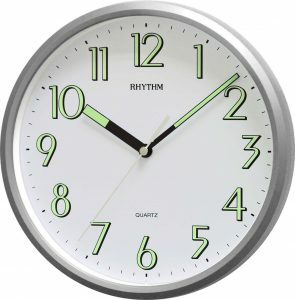 RHYTHM not only produces and sells timepieces but also provide good after-sales service which makes customers trust in “RHYTHM” without any doubt. All RHYTHM products are carefully planned and thoroughly researched. Believing simply the brand RHYTHM can speak for itself as good qaulity and bring confidence to its customers. RHYTHM watch has help to push RHYTHM to another success with a wide collection of 600 models. RHYTHM watches are distributing in 40 countries. With the combination of clocks and watches, RHYTHM brand has ungraded to a stage of Global Timepiece. 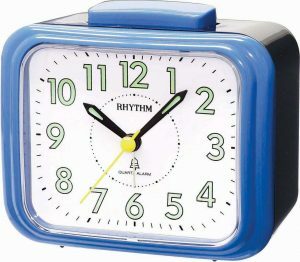 RHYTHM clocks are called “Home Decorative Accessory” and RHYTHM watches are called “Personal Identified Accessory”. Being the only company who can combine clocks and watches under one single global brand with full collection under the same team with same direction and policy, RHYTHM assures all the customers a quality, precise and beautiful timepiece. That is why RHYTHM is so well-known in the world.